Are you SEW ready for summer? The skies are blue, the breezes are balmy, and everyone here in North Texas is playing the game of, "Is it safe to put my tomatoes in the ground yet...?" It's time to get our summer DOLL SEWING plans in order. We've put together this idea book of summer classics, made using Lee & Pearl™ patterns, to help you and your dolls get ready! Who else wants to dress their dolls in breezy halter tops and long, floaty dresses for all those wonderful picnics, barbecues and visits to the beach in the months to come? 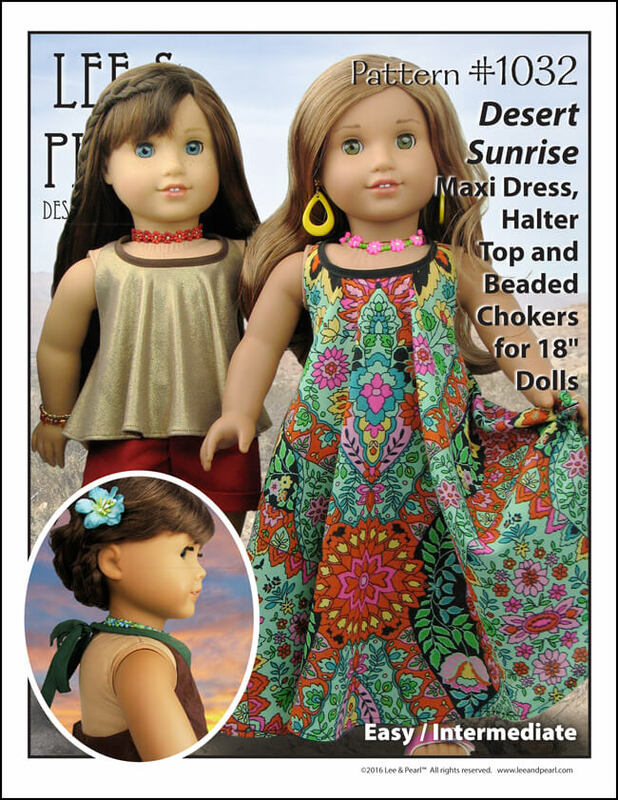 Lee & Pearl™ Pattern 1032: Desert Sunrise Maxi Dress, Halter Top and Beaded Chokers for 18 Inch Dolls is our favorite casual summer pattern for any doll-world occasion! You won't believe how quick and easy the halter top and dress are to put together. There are only two pattern pieces  the dress or top and an internal yoke lining. Best of all, because that internal yoke is made out of ordinary, easy-to-sew cotton, you can try out those fabrics you never get to use. Go ahead, indulge in all the fluttery silkies and liquid-smooth jerseys you've admired in the fabric store, but put back on the shelf as too hard to sew. If you can sew quilting cotton, you can make this pattern! CLICK HERE TO SEE PATTERN 1032: DESERT SUNRISE MAXI DRESS, HALTER TOP AND BEADED CHOKERS FOR 18" DOLLS IN THE LEE & PEARL ETSY STORE. And don't forget to pick up our FREE Tweak the Pattern package that adds two great variations to the Desert Sunrise pattern  an asymmetric handkerchief hem option, and a wrapped waistband option. CLICK HERE FOR THE DESERT SUNRISE TWEAK-THE-PATTERN NEWSLETTER ENTRY AND FREE DOWNLOAD INFORMATION. Nothing says "summer" like a great T-shirt-and-shorts combo, and Lee & Pearl have got you and your dolls covered with plenty of mix-and-match options. Our Unisex T-shirt pattern, which comes with crew- and v-neck collar and sleeve options in 18 inch, 16 inch and 14 1/2 inch doll sizes, was the very first pattern we released  and it's a classic for good reasons. We kept the fit relaxed through the torso  perfect for cutting around an up-cycled motif, or adding iron-on or vinyl embellishments  and then we added a cleverly-drafted sleeve that fits snugly all the way up to a narrow armhole, ideal for layering under anything you please. Plus, how adorable is that v-neck option? Our Molly keeps her vacation luggage light by pairing her T-shirt with linen-look cargo shorts, featuring paper-bag style pockets. We made these shorts using the second classic pattern we released  our perennially popular Pattern 1004: "Boy Style" Pants and Cargo Shorts for 18 Inch Dolls. Our "boy style" pants and shorts feature a slightly dropped waistline, which lengthens the line of the torso for an appropriately boyish silhouette. Both pants and shorts feature real working hip pockets, belt loops and a front fly opening  as well as our famous "No Crack Back" waistband, which curves up slightly in back to fit your doll snugly whether s/he is sitting or standing. The shorts feature your choice of cargo pockets: you can make either the traditional, tailored option with button flaps  or a fun, funky drawstring version! The shorts in our Pattern 1033: Bonjour, Paris Mini Wardrobe for 18" Dolls feature the same working hip pockets and "No Crack Back" waistband as our "Boy Style" shorts  but these have a decidedly more girlish silhouette, with a higher waistline and cute cuffed bottoms that land mid-thigh. Along with the shorts, Bonjour, Paris features a pretty pleated top and a tunic-style dress for more summer wardrobe options. And they're all made out of easy-to-sew cotton, too! 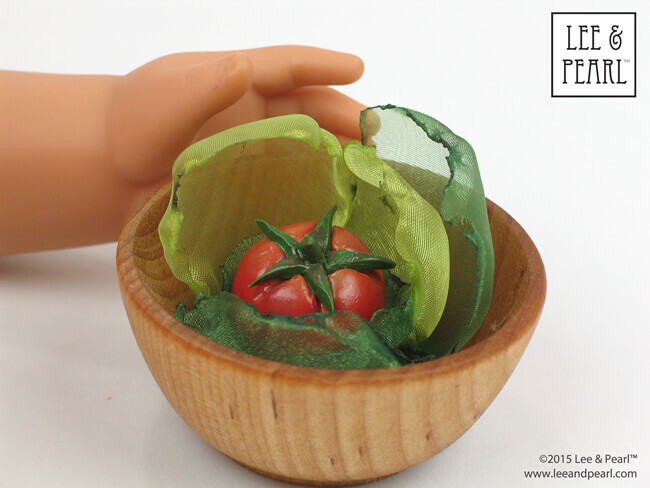 Perhaps your doll would like to pair her summer tops with a denim skirt instead of shorts? Try our Pattern 1041: Slim Skirts Denim and Pencil Skirts for 18" Dolls, which includes perfectly-detailed denim skirts in two lengths, as well as plain pencil skirts and a really cool asymmetric front panel skirt that looks great in brightly colored twills as well as denims. And here's our most summer separates option for your doll's wardrobe  the easy-to-sew Pattern 101: Gym Shorts for Dolls, which comes in 18", 16" and 14 1/2" doll sizes. If you have limited time or limited expertise and need a great pair of shorts NOW, this is the pattern you are looking for. CLICK HERE TO SEE PATTERN 1001: UNISEX T-SHIRTS FOR 18", 16" and 14 1/2" DOLLS IN THE LEE & PEARL ETSY STORE. 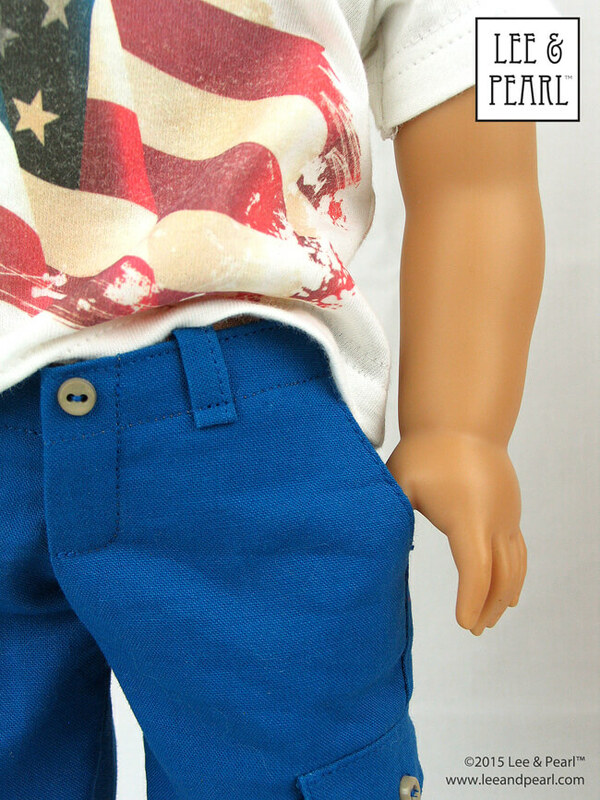 CLICK HERE TO SEE PATTERN 1004: "BOY STYLE" PANTS AND CARGO SHORTS FOR 18" DOLLS IN THE LEE & PEARL ETSY STORE. CLICK HERE TO SEE PATTERN 1033: BONJOUR PARIS MINI WARDROBE FOR 18" DOLLS IN THE LEE & PEARL ETSY STORE. CLICK HERE TO SEE PATTERN 1041: SLIM SKIRTS, DENIM AND PENCIL SKIRTS FOR 18" DOLLS IN THE LEE & PEARL ETSY STORE. CLICK HERE TO SEE PATTERN 101: GYM SHORTS FOR 18", 16" and 14 1/2" DOLLS IN THE LEE & PEARL ETSY STORE. What's a summer vacation without a trip to the beach, the lake or the pool? Get your doll ready by making a lovely new swimsuit using Lee & Pearl patterns and pattern tweaks! Here's our easiest swimsuit pattern  a fold over elastic-trimmed version in our Pattern 1051: Ballet Basics Leotard, Unitard and One Piece Swimsuit for 18", 16" and 14 1/2" Dolls. And here's another great swimsuit pattern with mix-and-match options and real vintage charm  Pattern 1058: Retro Ruffled Swimsuit and High-Waisted Bikini for 18" Dolls. We love the adorable  and perfectly placed  rear-end ruffle on this swimsuit. And the high-waisted bikini couldn't be more on trend right now. For something completely different, try our graceful Pattern 1057: Halter Swimsuit with Tiered Drape and Halter Swimdress for 18" Dolls. This swimsuit is so pretty and flattering that we're going to have to draft one for ourselves some day! CLICK HERE TO SEE PATTERN 1051: BALLET BASICS LEOTARD, UNITARD AND ONE PIECE SWIMSUIT FOR 18", 16" and 14 1/2" DOLLS IN THE LEE & PEARL ETSY STORE. CLICK HERE TO SEE PATTERN 1058: RETRO RUFFLED SWIMSUIT AND HIGH WAISTED BIKINI FOR 18" DOLLS IN THE LEE & PEARL ETSY STORE. CLICK HERE TO SEE PATTERN 1057: HALTER SWIMSUIT AND SWIMDRESS FOR 18" DOLLS IN THE LEE & PEARL ETSY STORE. CLICK HERE FOR THE FRINGED SWIMSUIT TWEAK-THE-PATTERN NEWSLETTER ENTRY AND FREE DOWNLOAD INFORMATION. Love swimsuits, but unsure about sewing with swimsuit fabrics? We understand, because we used to be, too. 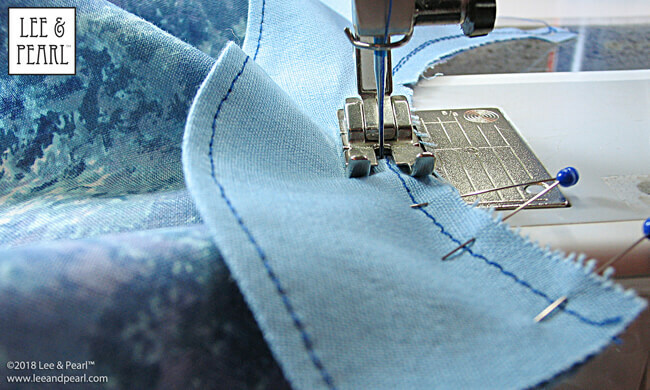 But then we learned a few simple steps to make stretch fabric sewing a breeze. And now we want to teach you those steps. Download our FREE Sew Easy with Spandex ebook and get started sewing your dream summer projects today! CLICK HERE FOR THE SEW EASY WITH SPANDEX NEWSLETTER ENTRY AND FREE DOWNLOAD INFORMATION. Finally, what's a great summer wardrobe for dolls without a great summer hat for dolls? 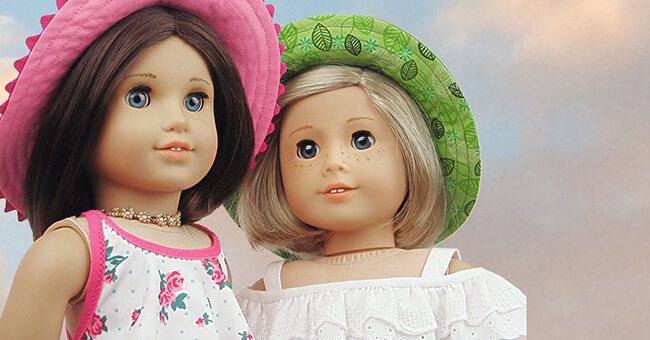 We think our Pattern 1017: California Girl Sun Hat for 18" Dolls truly is the perfect summer hat. It starts with a head-hugging six-gore crown, which you can make out of one, two or even three colors. Next up is the lightly curved and flipped-back brim, drafted just wide enough to balance and flatter your doll's face. Finally, spiral topstitching on the brim adds sturdiness without any ugly start-and-stop lines, and a full lining keeps everything neat and pretty inside! 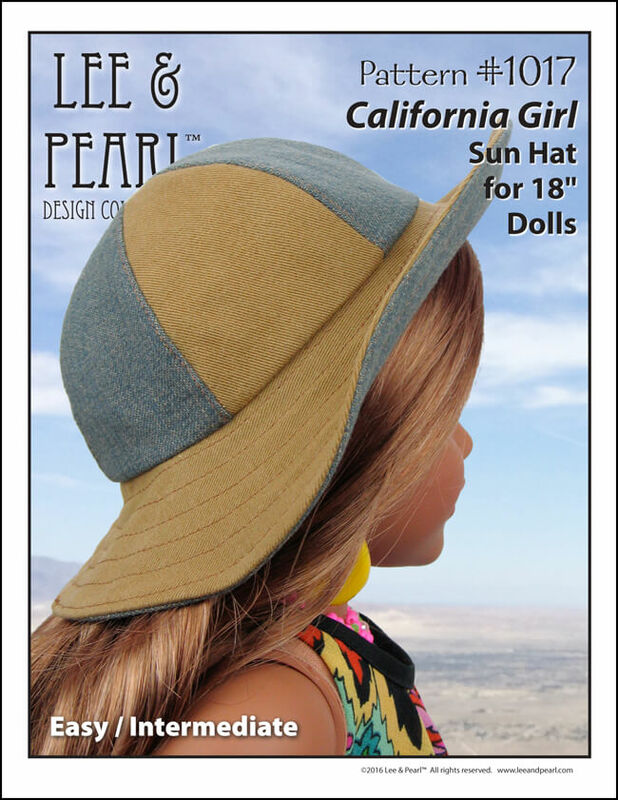 CLICK HERE TO SEE PATTERN 1017: CALIFORNIA GIRL SUN HAT FOR 18" DOLLS IN THE LEE & PEARL ETSY STORE. We hope that you've enjoyed our tour of summer sewing with Lee & Pearl patterns. And remember — each Lee & Pearl design for dolls features photo-illustrated directions and computer-drafted, guaranteed-to-fit-together pattern pieces that make each step as easy as possible. Happy sewing with Lee & Pearl!